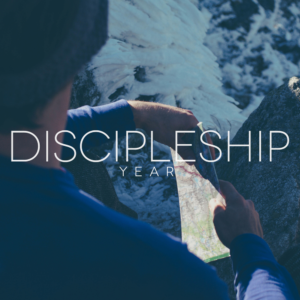 The Discipleship Year (DY) is a fantastic opportunity to serve the church and discover more about God's calling on your life. The main focus of DY is character development (learning from Jesus and how to live like him) so it's not for the faint-hearted! DY runs from August through to the middle of July. There are options to extend the programme to a second year of Internship. The basic core elements of DY are: serving, learning and growing. Serving the local church, learning about yourself, about working on a team, and more about Jesus and growing together and individually. The basic entry requirements for DY are: a willingness to serve, a passion about growing closer to Jesus, a desire to live a naturally supernatural lifestyle that impacts those around you and a hunger to discover and reach your full God given potential.There are tremendous opportunities throughout the year to get more involved in the inner workings of the church. The disciples will serve in ministries of the church, such as Compassion, Kids, Families, Hospitality and Students. They will help with church conferences and meetings and in the administration work of the church office, plus helping at most of our Sunday morning and evening services. In a typical week, the students spend 2 to 3 days a week in paid employment of their choosing, to pay the bills; have one day off; and volunteer for the rest of their time at Glasgow Vineyard, serving in a wide variety of ways. As well as helping with many of the unseen, unglamorous jobs (like set-up, set-down, car parking, cleaning and hospitality), disciples and interns are also actively encouraged to get involved with people they have passion and vision for, whether the poor and disadvantaged, youth or children, or welcoming newcomers.